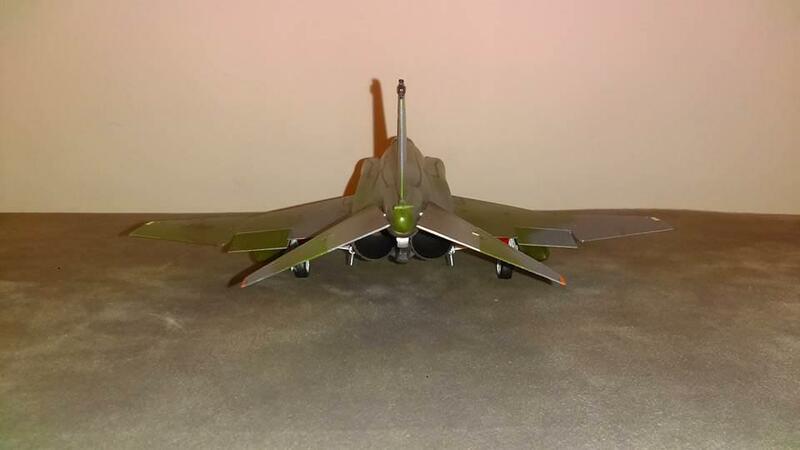 Another old Monogram build, the Phantastic Phantom. This was a straight out of the box build, aside from some aftermarket decals. Paints used were all Model Master enamels, aside from the white, that is Tamiya acrylic. 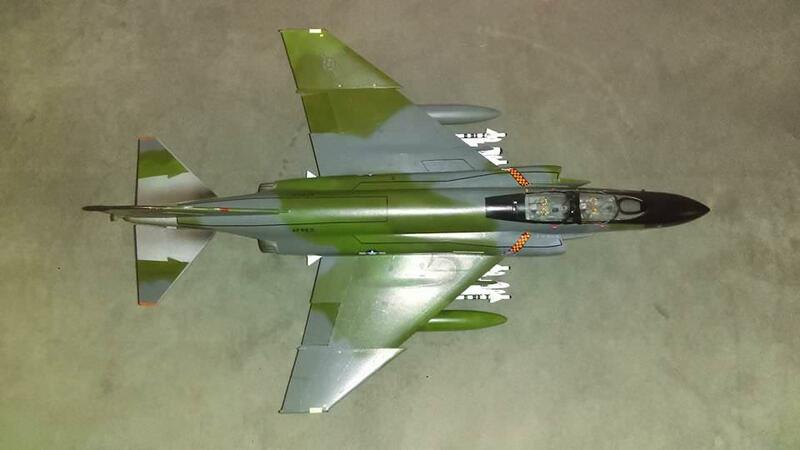 The Phantom is one of my favorite fighter aircraft. Just the look of it is intimidating. Great job – one of my favorites, too. Monogram makes a good kit for the money. 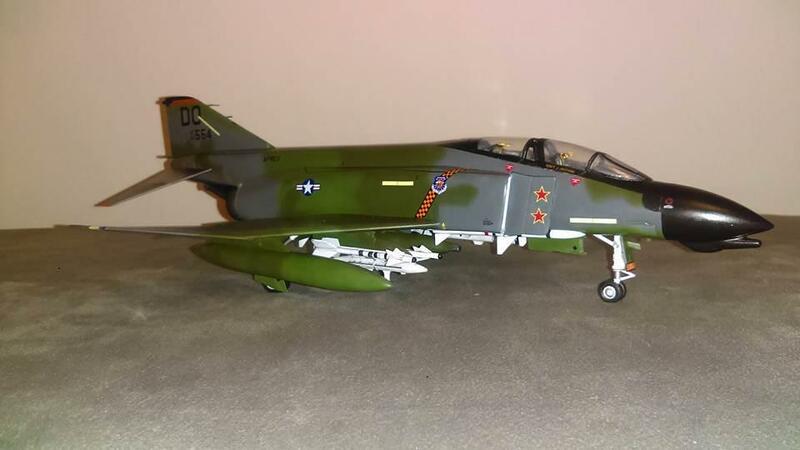 Nice Phantom – I especially like the load out you chose to install. Looking forward to seeing more of your work! Thanks! I’ll post more soon. 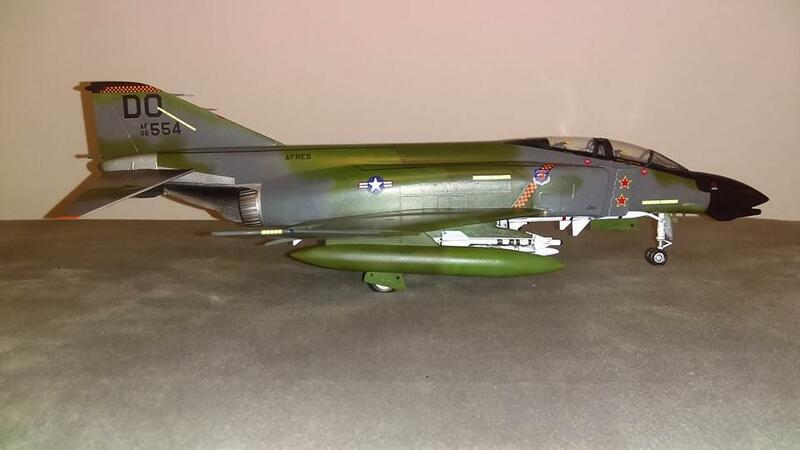 Phabulous Phantom, nice wrap around paint scheme. 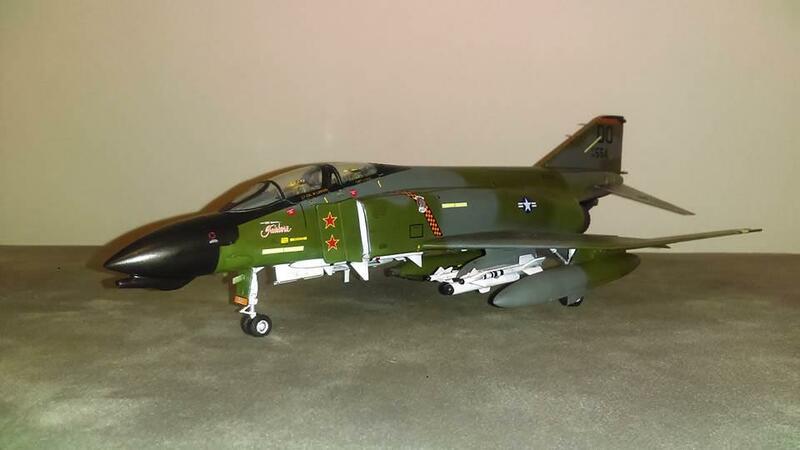 I’m also partial to the F-4, being an ex Phantom phixer. Thank you! They were stationed at the local base when I was a kid. Wish they were still in service around here. 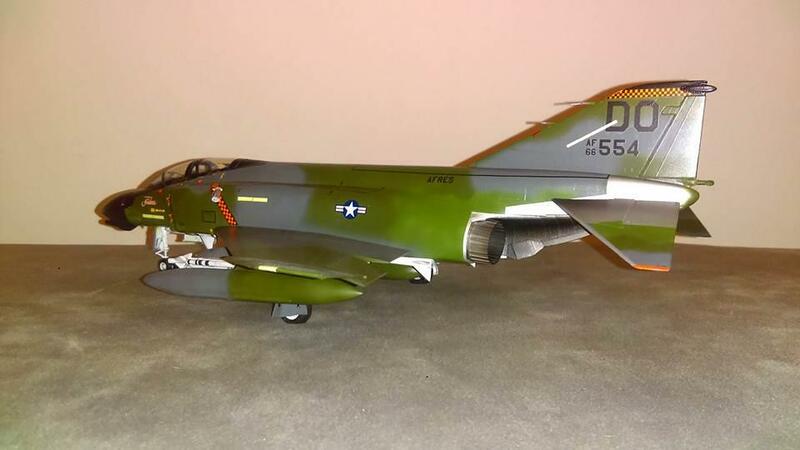 Gotta love monogram’s phantom, you did a superb job! Nicely done Christina, looks like that old Monogram kit has held up rather well. Thank you! I have another one in the stash as well. Will be done as a Niagara Falls bird. Yeah, Phantoms prove pretty much anything can fly with a powerful enough engine. Very nice work on yours. 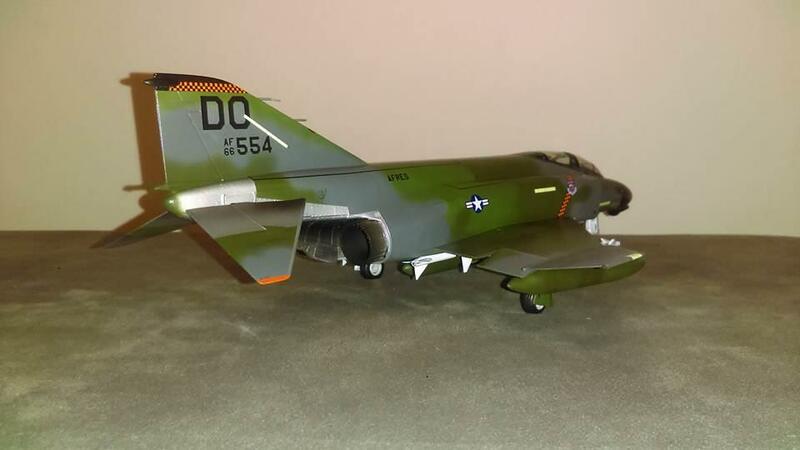 I have the old Monogram F-4J Naval Phantom kit I have yet to get to. Nice work on this old chestnut. Very nice and eye catching work Christina . Love that wrap around camouflage. 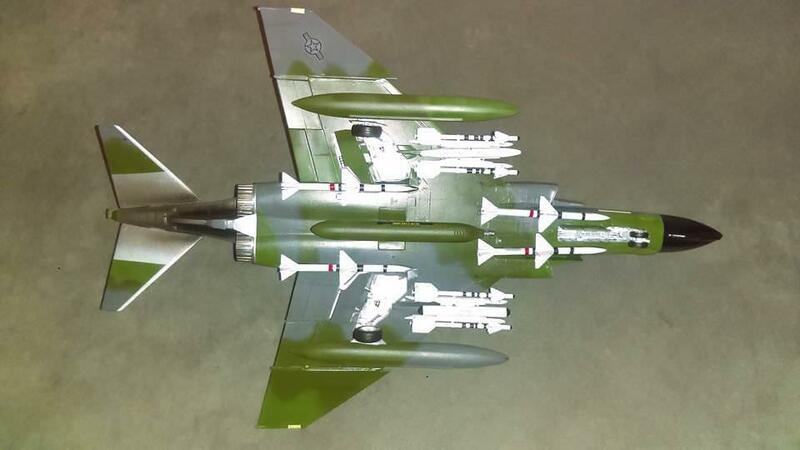 Love the Phantom in all it’s variants and schemes. Monogram kits are still a very good choice … your model is proof . Thank you! I don’t hesitate to pick up a Monogram kit, still have a few in the stash. cool – well done! – like the paint and exhaust soot. Thank you! I like the old Monograms kits myself. Looks great! 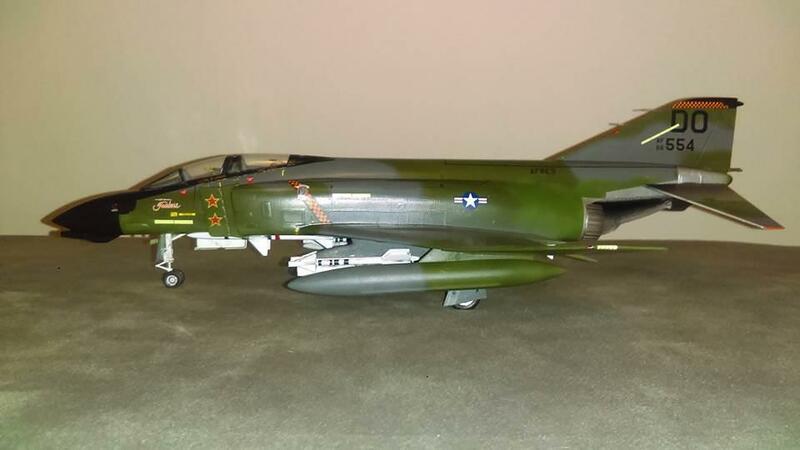 The Phantom holds the record for most kits in my stash… (yep-my favorite also – dad flew it in ‘Nam). Thank you! I have one more in the stash…..for now, lol. Thank you! I’m sure that was an awesome thing to see. I would of loved to of seen that myself! I’ve been lucky and have had quite a few aircraft right over my head (F-15, F-22, F/A-18, B-52, C-130, B-17, C-47, F-16, C-5 and C-17’s) All airshow arrivals last summer. I was just a kid when the F-4’s were stationed nearby.